Auto Expo 2018 is scheduled to take place from February 9-14 and the Components Show will be held from February 8-11. The call for India's largest biennial auto show -- Auto Expo 2018 -- has been sounded. So, it is time to book your tickets to avoid being blocked from entering the venue. This follows the organisers' announcement that entry tickets will be available exclusively on BookMyShow.com. Auto Expo 2018 is scheduled to take place from February 9-14 and the Components Show will be held from February 8-11. 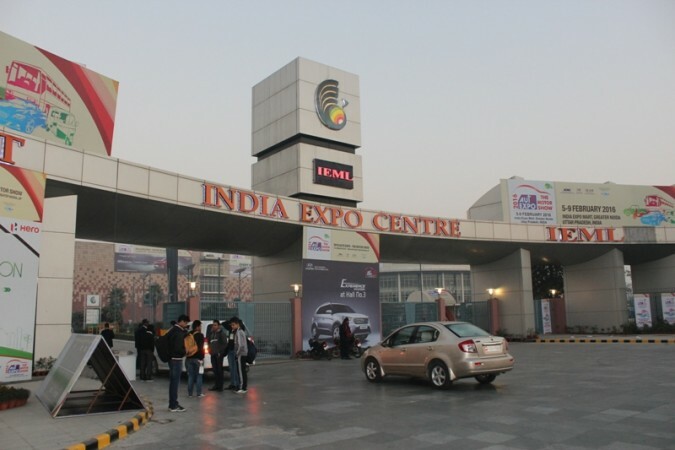 Organised under the aegis of the Society of Indian Automobile Manufacturers (SIAM), Confederation of Indian Industry (CII) and Automotive Components Manufacturers Association (ACMA), the Auto Expo will take place at two locations -- Pragati Maidan, New Delhi and India Expo Mart, Greater Noida. The Pragati Maidan will host the Component Show from February 8-11, while the Motor Show will be held at India Expo Mart from February 9-14. The inauguration of the event is slated for February 8. The tickets prices for weekday's business hours and public hours are different. Tickets for weekday's business hours will be Rs 750 while the public hours will be Rs 350. The weekends will be public days from 10 am – 7 pm and the ticket is priced at Rs 475. The ticket price for the additional day (February 14) is Rs 450. The ticket deliveries will start from January 8 and there is also a facility for free home delivery on booking of three or more tickets. Many automakers are likely to give the 14th edition of the Auto Expo a miss. A total of 32 companies will not participate in the upcoming show, said earlier reports. Foreign automakers such as Volkswagen, Skoda, Ford, Audi, Nissan, General Motors and bike-maker Ducati are unlikely to participate in the event. Bajaj Auto, Harley-Davidson and Royal Enfield, in all likelihood, would stay away like they did in Auto Expo 2016. Among the commercial vehicle manufacturers, Ashok Leyland, VE Commercial Vehicles, Volvo, MAN, Scania and Daimler may also opt out from Auto Expo 2018. The automakers that are likely to be part of the Auto show include automakers Maruti Suzuki, Hyundai, Tata Motors, Mahindra, Honda, Renault, Mercedes-Benz, BMW, TVS, Hero, Honda and Yamaha. South Korean carmaker Kia Motors, SAIC China's MG Motor unit and France's Peugeot are expected to be the new entrants.